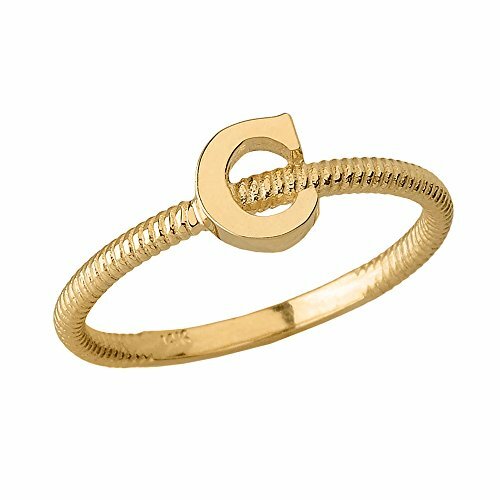 This letter women's ring is a personalized band of distinct taste and fine fashion sense. With its high polish uppercase initial letter C, this meaningful piece of fine jewelry stunningly shimmers in gleaming polish and impressive finish. personalized name initial women's ring featuring the block upper-case alphabet letter "C"